Once more I’ve come to tell you allA tale of Frankie FrogThis time we find he does not staySafely within his bog. His friends the children took a tripAnd Frankie snuck aboardFrank wound up in a brand new placeWhich he quickly explored.Here I have written English rhymesWhere Frankie spoke in frogAnd told me his adventures asHe sat upon a log. 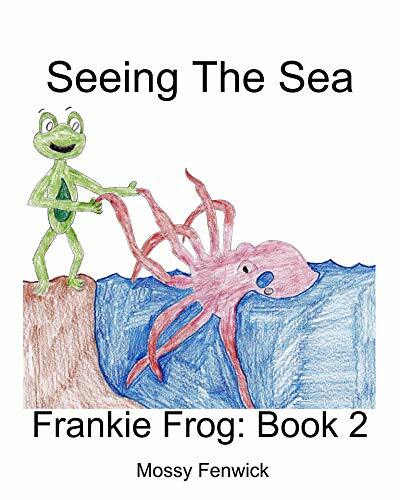 Again Frankie has drawn the picsJust as he did beforeOf all the things he found when heSpent time at the seashore. So please enjoy tale number twoFrom Frank’s exciting daysWhere things can happen very fastAnd leave you in a daze. He sat upon a log. Spent time at the seashore. And leave you in a daze.